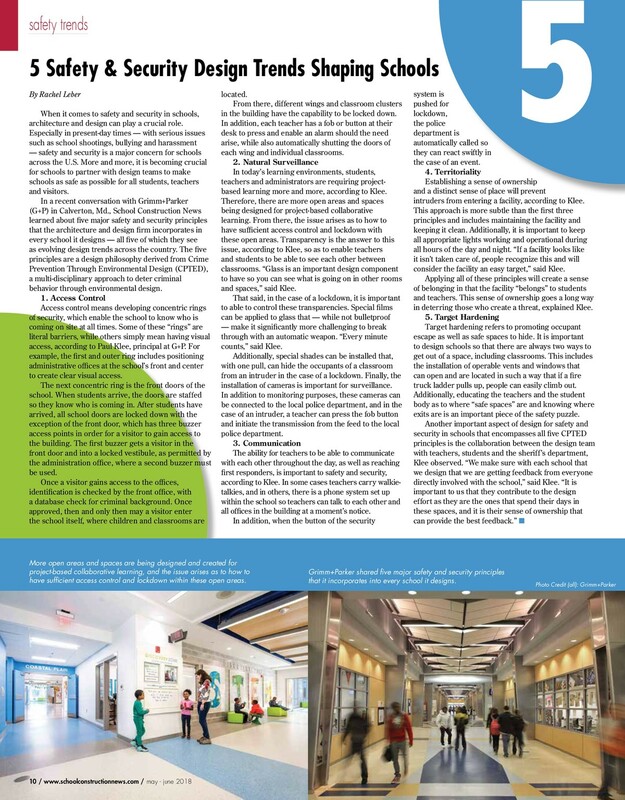 G+P was featured in the May/June 2018 Issue of School Construction News, a magazine devoted specifically to educational facility construction and operations. The piece focuses on the top 5 safety and security design trends that are shaping schools today. One of G+P’s K-12 School Design Principals, Paul Klee, AIA, LEED AP, sat down with School Construction News to provide some insight.